"Nisibis" redirects here. For other uses, see Nisibis (disambiguation). Nusaybin (pronounced [nuˈsajbin]; Akkadian: Naṣibina; Classical Greek: Νίσιβις, Nisibis; Arabic: نصيبين‎, Kurdish: Nisêbîn; Syriac: ܢܨܝܒܝܢ‎, Nṣībīn; Armenian: Մծբին, Mtsbin) is a city and multiple titular see in Mardin Province, Turkey. The population of the city is 83,832 as of 2009. The population is predominantly Kurdish, Sunni as well as Yezidi, but a small Christian community can also be found. With a history going back nearly 3,000 years, Nusaybin was ruled and settled by various groups. First mentioned as an Aramean settlement Naşibīna in 901 BCE, it was captured by Assyria in 896 BCE. In the 4th and 5th centuries CE it was one of the great centers of Syriac scholarship, along with nearby Edessa. It was under Babylonian control until 536 BCE, when it fell to the Achaemenid Persians, and remained so until taken by Alexander the Great in 332 BCE. The Seleucids refounded the city as Antiochia Mygdonia (Greek: Ἀντιόχεια τῆς Μυγδονίας), mentioned for the first time in Polybius' description of the march of Antiochus III the Great against Molon (Polybius, V, 51). Greek historian Plutarch suggested that the city was populated by Spartan descendants. Around the 1st century CE, Nisibis (נציבין, Netzivin) was the home of Judah ben Bethera, who founded a famous yeshiva there. Like many other cities in the marches where Roman and Parthian powers confronted one another, Nisibis was often taken and retaken: it was captured by Lucullus after a long siege from the brother of Tigranes (Dio Cassius, XXXVI, 6–7); and captured again by Trajan in 115 CE, for which he gained the name of Parthicus (ibid., LXVIII, 23), then lost and regained against the Jews during the Kitos War. Lost in 194, it was again conquered by Septimius Severus, who made it his headquarters and re-established a colony there (ibid., LXXV, 23). The last battle between Rome and Parthia was fought in the vicinity of the city in 217. With the fresh energy of the new Sassanid dynasty, Shapur I conquered Nisibis, was driven out, and returned in the 260s. In 298, by a treaty with Narseh, the province of Nisibis was acquired by the Roman Empire. Nisibis (Syriac: ܢܨܝܒܝܢ‎, Nṣibin, later Syriac ܨܘܒܐ, Ṣōbā) had an Assyrian Christian bishop from 300, founded by Babu (died 309). War was begun again by Shapur II in 337, who besieged the city in 338, 346, and 350, when St Jacob or James of Nisibis, Babu's successor, was its bishop. Nisibis was the home of Ephrem the Syrian, who remained until its surrender to the Sassanid Persians by Roman Emperor Jovian in 363. In 363 Nisibis was ceded back to the Persians after the defeat of Emperor Julian. Before that time the population of the town was forced by the Roman authorities to leave Nisibis and move to Amida. Emperor Jovian allowed them only three days for the evacuation. Historian Ammianus Marcellinus was again an eyewitness and condemns Emperor Jovian for giving up the fortified town without a fight. Marcellinus' point-of-view is certainly in line with contemporary Roman public opinion. Later, the bishop of Nisibis was the Metropolitan Archbishop of the Ecclesiastical province of Bit-Arbaye. In 410 it had six suffragan sees and as early as the middle of the 5th century was the most important episcopal see of the Church of the East after Seleucia-Ctesiphon, and many of its Nestorian, Assyrian Church of the East or Jacobite bishops were renowned for their writings: Barsumas, Osee, Narses, Jesusyab and Ebed-Jesus. According to Al-Tabari some 12,000 Persians of good lineage from Istakhr, Isfahan, and other regions settled at Nisibis in the 4th century, and their descendants were still there at the beginning of the 7th century. The first theological, philosophical and medical School of Nisibis, founded at the introduction of Christianity into the city by ethnic Assyrians of the Assyrian Church of the East, was closed when the province was ceded to the Persians. Ephrem the Syrian, an Assyrian poet, commentator, preacher and defender of orthodoxy, joined the general exodus of Christians and reestablished the school on more securely Roman soil at Edessa. In the 5th century the school became a center of Nestorian Christianity, and was closed down by Archbishop Cyrus in 489; the expelled masters and pupils withdrew once more, back to Nisibis, under the care of Barsauma, who had been trained at Edessa, under the patronage of Narses, who established the statutes of the new school. Those that have been discovered and published belong to Osee, the successor of Barsauma in the See of Nisibis, and bear the date 496; they must be substantially the same as those of 489. In 590 they were again modified. The monastery school was under a superior called Rabban ("master"), a title also given to the instructors. The administration was confided to a majordomo, who was steward, prefect of discipline and librarian, but under the supervision of a council. Unlike the Jacobite schools, devoted chiefly to profane studies, the school of Nisibis was above all a school of theology. The two chief masters were the instructors in reading and in the interpretation of Holy Scripture, explained chiefly with the aid of Theodore of Mopsuestia. The free course of studies lasted three years, the students providing for their own support. During their sojourn at the university, masters and students led a monastic life under somewhat special conditions. The school had a tribunal and enjoyed the right of acquiring all sorts of property. Its rich library possessed a most beautiful collection of Nestorian works; from its remains Ebed-Jesus, Bishop of Nisibis in the 14th century, composed his celebrated catalogue of ecclesiastical writers. The disorders and dissensions, which arose in the sixth century in the school of Nisibis, favoured the development of its rivals, especially that of Seleucia; however, it did not really begin to decline until after the foundation of the School of Baghdad (832). Among its literary celebrities mention should be made of its founder Narses; Abraham, his nephew and successor; Abraham of Kashgar, the restorer of monastic life; and Archbishop Elijah of Nisibis. As a fortified frontier city, Nisibis played a major role in the Roman-Persian Wars. It became the capital of the newly created province of Mesopotamia after Diocletian's organization of the eastern Roman frontier. It became known as the "Shield of the Empire" after a successful resistance in 337-350. The city changed hands several times, and once in Sasanian hands, Nisibis was the base of the operations against the Romans. The city was also one of the main crossing points for merchants; but elaborate counter-espionage safeguards were put in place. The city was taken without resistance by the forces of the Rashidun Caliphate under Umar in 639 or 640. Under early Islamic rule, the city served as a local administrative centre. In 717, it was struck and affected by an earthquake and in 927 it was raided by the Qarmatians. Nisibis was captured in 942 by the Byzantine Empire but was subsequently recaptured by the Hamdanid dynasty. It was attacked by the Byzantines once again in 972. Following the Hamdanids, the city was administered by Marwanids and Uqaylids. From the middle of the 11th century onwards, it was subjected to Turkish raids and the threat of County of Edessa, being attacked and damaged by Seljuq forces under Tughril in 1043. The city nevertheless remained an important centre of commerce and transport. In 1120, it was captured by the Artuqids under Necmeddin Ilgazi, followed by the Zengids and Ayyubids. The city is described as a very prosperous one by the period's Arab geographers and historians, with imposing baths, walls, lavish houses, a bridge and a hospital. In 1230, the city was invaded by the Mongol Empire. Mongol sovereignty was followed by that of the Ag Qoyunlu, Kara Koyunlu and Safavids. In 1515, it was taken by the Ottoman Empire under Selim I thanks to the efforts of Idris Bitlisi. On the eve of World War I, Nusaybin had a small Armenian community of some 90 people, along with a large Jewish population numbering 600. As agreed upon by French and Turkish authorities after World War I, the border between Turkey and Syria would follow the line of the Baghdad Railway until Nusaybin, after which the border would follow the path of a contested Roman road leading to Cizre. Nusaybin was a place on the transit routes of Syrian Jews leaving the country after 1948. Upon reaching Turkey, after a route that took them through Aleppo and the Jazira sometimes with the help of Bedouin smugglers, most headed for Israel. There was a big Jewish community in Nisbis since antiquity, many of them moved to Qamishli in the 20th century because of economic reason, there is a synagogue in Jerusalem that practices the rite of Nisbis and Qamishli. Nusaybin made headlines in 2006 when villagers near Kuru uncovered a mass grave, suspected of belonging to Ottoman Armenians and Arameans. Swedish historian David Gaunt visited the site to investigate its origins, but left after finding evidence of tampering. Gaunt, who has studied 150 massacres carried out in the summer of 1915 in Mardin, said that the Committee of Union and Progress's governor for Mardin, Halil Edip, had likely ordered the massacre on 14 June 1915, leaving 150 ethnic Armenians and 120 ethnic Assyrians dead. The settlement was then known as Dara (now Oğuz). Gaunt added that the death squad, named El-Hamşin (meaning "fifty men"), was headed by officer Refik Nizamettin Kaddur. The president of the Turkish Historical Society, Yusuf Halaçoğlu, said that the remains dated back to Roman times, although many people in the Turkish government openly deny the genocide even happened. Özgür Gündem says that the military and police have pressed the media not to report the discovery. The Turkish Interior Ministry looked into dissolving Nusaybin's city council in 2012 because the body sought to use Arabic, Armenian, Aramaic, and Kurdish on signposts in the town, in addition to Turkish. In November 2013, Nusaybin's mayor, Ayşe Gökkan, commenced a hunger strike to protest against the construction of a wall between Nusaybin and its neighboring city of Qamishli in Syria. Construction of the wall stopped as a result of this and other protests. On 13 November 2015, the town was placed under a curfew by the Turkish government, and Ali Atalan and Gülser Yıldırım, two elected members of the Grand National Assembly from the pro-Kurdish Peoples' Democratic Party (HDP), began a hunger strike in protest. Two civilians and ten PKK fighters were killed by security forces. As of March 2016, PKK forces controlled about half of Nusaybin according to Al-Masdar News and the YPS controlled "much" of it, according to The Independent. Following eight successive curfews over several months and clashes between the Turkish army and Kurdish militants, much of the city was destroyed and 61 security forces were killed as of 1 May 2016. As of 9 April, 60,000 residents of the city had been displaced, yet 30,000 civilians remained in the city, including in the 6 neighborhoods where the operations continued. YPS reportedly had 700–800 militants in the city, of which the Turkish army claimed that 325 were "neutralised" by 4 May. A curfew was in place between 14 March and 25 July in the majority of the town. After the fighting ended in a Turkish Army victory, in late September 2016 the Turkish government began demolishing one fourth of the city's residential buildings. This rendered 30,000 citizens homeless and caused a mass evacuation of tens of thousands of residents to neighboring towns and villages. Over 6,000 houses were bulldozed. After demolition was completed in March 2017, over one hundred apartment towers were built in its place. The Turkish government offered to compensate homeowners twelve percent of the value of their destroyed house if they agreed to certain relocation conditions. As a result of the Syrian civil war, the city's border with Syria (and more specifically the large Syrian city of Qamishli) has been closed, with claims that the cessation in smuggling has led to a 90% rise in unemployment in the city. Nusaybin is immediately north of the border with Syria, opposite the Syrian city of Qamishli. The Jaghjagh River flows through both cities. The border between Qamishli and Turkey is filled with land mines, with a total of some 600,000 having been placed between the countries in the 1950s as part of Turkey's efforts to protect NATO's southeastern edge. Nusaybin is predominantly ethnically Kurdish. The city's population has close ties with the neighboring town of Qamishli and cross-border marriages are a common practice. The city has also a minority Arab population. A very small Assyrian population remains in the city; what remained of the Assyrian population emigrated during the Kurdish-Turkish conflict of 1990s and as a result of the conflict in 2016, only one Assyrian family reportedly remained in the city. The Roman Catholic Church has established no less than four successor titular archbishoprics, for various rites – one Latin and four Eastern Catholic for particular churches sui iuris. They are included in the Catholic Church's list of titular see of archiepiscopal rank notably for the Chaldean Catholic Church and the Maronite Catholic Church. Furthermore, when the Syriac Catholic Eparchy of Hassaké was promoted to archiepiscopal rank, at added Nisibi(s) to its name, becoming the Syriac Catholic Archeparchy of Hassaké-Nisibi (not Metropolitan, directly dependent on the Syriac Catholic Patriarch of Antioch). Latin titular see: Established in the 18th century as Titular Archiepiscopal see of Nisibis (informally Nisibis of the Romans). Armenian Catholic titular see: Established as Titular Archiepiscopal see of Nisibis (informally Nisibis of the Armenians) in 1910?. Chaldean Catholic titular see: Established as Titular Archiepiscopal see of Nisibis (informally Nisibis of the Chaldeans) in the late 19th century, suppressed in 1927, restored in 1970. Nusaybin is served by the E90 roadway and other roads to surrounding towns. The Nusaybin Railway Station is served by 2 trains per day. 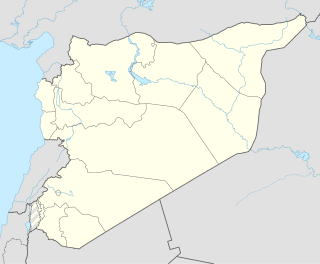 The closest airport is the Kamishly Airport 5 kilometers south from Nusaybin, located in Qamishli in Syria. The closest Turkish airport is the Mardin Airport, 55 kilometers northwest of Nusaybin. ^ "DBP'nin kayyum atanan belediyeleri" (in Turkish). BBC Turkish. 3 November 2016. Retrieved 13 November 2016. ^ Darke, Diana (2014). Eastern Turkey. Bradt Travel Guides. p. 279. ^ Mechanisms of Communication in the Assyrian Empire. "People, gods, & places." History Department, University College London, 2009. Accessed 18 Dec 2010. ^ "Nusaybin - Google Arts & Culture". Google Cultural Institute. Retrieved 2018-07-09. ^ Shahîd, Irfan (3 April 1995). "Byzantium and the Arabs in the Sixth Century". Harvard University Press. Retrieved 3 April 2018 – via Google Books. ^ Lendering, Jona. "Nisibis." Accessed 18 Dec 2010. ^ Lendering, Jona. Assyrian Eponym List. Accessed 18 Dec 2010. ^ Cowan, Ross (2009). "The Battle of Nisibis, AD 217". Ancient Warfare. 3.5: 29–35. Archived from the original on 29 April 2016. Retrieved 1 April 2014. ^ Jonsson, David J. (2005). The Clash of Ideologies. Xulon Press. p. 181. ISBN 1-59781-039-8. ^ a b "Nusaybin". İslam Ansiklopedisi. 33. Türk Diyanet Vakfı. 2007. pp. 269–270. ^ Kevorkian, Raymond (2011). The Armenian Genocide: a Complete History. London: Tauris. p. 378. ^ Altuğ, Seda and Benjamin Thomas White (Jul–Sep 2009). "Frontières et pouvoir d'État: La frontière turco-syrienne dans les années 1920 et 1930". Vingtième Siècle. Revue d'histoire. ^ Simon, Reeva, Michael M. Laskier, and Sara Reguer (2003). The Jews of the Middle East and North Africa in Modern Times. New York: Columbia University Press. p. 328. ^ Oruc, Berguzar (2006-10-19). The bodies are suspected to be victims of the %5b%5bArmenian Genocide%5d%5d and Aramean Genocide, by order of Ottoman Turkey during World War 1. "Ermeni köyu'nde toplu mezar" Check |url= value (help). Dicle Haber (in Turkish). Özgür Gündem. Retrieved 2008-09-23. ^ Gunaysu, Ayse (2006-11-07). "Toplu mezar Ermeni ve Süryanilere ait". Özgür Gündem (in Turkish). Retrieved 2008-09-23. ^ Belli, Onur Burcak (2007-04-27). "Truth of mass grave eludes Swedish professor". Turkish Daily News. Retrieved 2008-09-23. ^ "Toplu mezarla yüzleşme vakti". Özgür Gündem (in Turkish). 2006-12-13. Retrieved 2008-09-23. ^ Oruc, Berguzar (2006-10-22). "Toplu mezar gizleniyor". Dicle Haber. Özgür Gündem. Retrieved 2008-09-23. ^ Gusten, Susanne (2012-03-21). "Sensing a Siege, Kurds Hit Back in Turkey". The New York Times. ISSN 0362-4331. Retrieved 2015-10-16. ^ "Solidarity with Nusaybin Mayor Ayse Gokkan". www.jadaliyya.com. Retrieved 2015-10-16. ^ 2 HDP deputies go on hunger strike to end days-long Nusaybin curfew Archived 2015-11-20 at the Wayback Machine dated November 19, 2015, at todayszaman.com, accessed 21 November 2015. ^ "Kurds capture 50% of Turkish city on the border with Syria". Al-Masdar News. 2016-03-23. ^ "Nusaybin, the Turkish city where war is now a way of life". The Independent. Retrieved 1 May 2016. ^ "Nusaybin'den son görüntüler" (in Turkish). NTV. Retrieved 1 May 2016. ^ a b "Vali devre dışı, Nusaybin'i asker yönetecek: 30 bin sivil..." Cumhuriyet. Retrieved 5 May 2016. ^ "Nusaybin'de PKK'ya ağır darbe!". Milliyet. Retrieved 5 May 2016. ^ "Nusaybin'de sokağa çıkma yasağı kaldırıldı". Cumhuriyet. Retrieved 30 December 2016. ^ "How Bashar Assad Has Come Between the Kurds of Turkey and Syria". Time. Retrieved 5 May 2016. ^ Halifeoğlu, Fatma Meral (2006). "SAVUR GELENEKSEL KENT DOKUSU İLE SOSYAL YAPI İLİŞKİSİ ÜZERİNE BİR İNCELEME". Elektronik Sosyal Bilimler Dergisi. 5 (17): 76–84. ISSN 1304-0278. ^ "Son Süryaniler de göç yolunda". Evrensel. Retrieved 5 May 2016. ^ "Nusaybin'in son Süryani ailesi: Terk etmeyeceğiz". Evrensel. Retrieved 5 May 2016. Lieu, Samuel (2006). "NISIBIS". Encyclopaedia Iranica. Diyarbakır is one of the largest cities in southeastern Turkey and is often considered the unofficial capital of Northern Kurdistan.. Situated on the banks of the Tigris River, it is the administrative capital of the Diyarbakır Province. It is the third-largest city in Turkey's Southeastern Anatolia Region, after Şanlıurfa and Gaziantep. Mardin is a city and multiple (former/titular) bishopric in southeastern Turkey. The capital of Mardin Province, it is known for the Artuqid architecture of its old city, and for its strategic location on a rocky hill near the Tigris River that rises steeply over the flat plains. The Assyrian–Chaldean-Syriac diaspora refers to Assyrians living in communities outside their ancestral homeland. The Eastern Aramaic-speaking Assyrians are descendants of the ancient Assyrians, and are one of the few ancient Semitic ethnicities in the Near East who resisted Arabisation, Turkification and Islamisation during and after the Arab conquest of Iraq, Syria, Turkey and Iran. Assyrians in Turkey are an indigenous Semitic-speaking ethnic group and minority of Turkey with a presence in the region dating to as far back as the 25th century BC, making them the oldest ethnic group in the nation. Some regions of what is now south eastern Turkey were an integral part of Mesopotamia from the 25th century BC to the 7th century AD, including its final capital, Harran. Cizre is a town and district of Şırnak Province in the Southeastern Anatolia Region of Turkey, on the border with Syria, just to the northwest of the Turkish–Syrian–Iraqi tripoint. The history of the Assyrian people begins with the appearance of Akkadian speaking peoples in Mesopotamia at some point between 3500 and 3000 BC, followed by the formation of Assyria in the 25th century BC. During the early bronze age period Sargon of Akkad united all the native Semitic-speakers and the Sumerians of Mesopotamia under the Akkadian Empire. Assyria essentially existed as part of a unified Akkadian nation for much of the period from the 24th century BC to the 22nd century BC, and a nation state from the mid 21st century BC until its destruction as an independent state between 615–599 BC. Chaldean Catholics, known simply as Chaldeans, are Assyro-Chaldean adherents of the Chaldean Catholic Church which originates from the Church of the East. British Assyrians are British people of Assyrian descent or Assyrians who have British citizenship. They are the indigenous pre-Arab, pre-Kurdish and pre-Turkic people of Upper Mesopotamia who speak dialects of Eastern Aramaic and are Christians, with most following the Assyrian Church of the East, Chaldean Catholic Church, Syriac Orthodox Church, Ancient Church of the East, Assyrian Pentecostal Church, Assyrian Evangelical Church, Syriac Catholic Church, although some are irreligious. Assyrian nationalism or Assyrianism increased in popularity in the late 19th century in a climate of increasing ethnic and religious persecution of the Assyrians of what is today central Iraq, south-east Turkey and north-west Iran. The Flag of North and East Syria refers to the current widely used flags of the Autonomous Administration of North and East Syria (NES), commonly known as Rojava. One of the most commonly used is the tricolor flag that was adopted by the Movement for a Democratic Society (TEV-DEM), which is the political coalition governing the region. The green, yellow and red colors are traditionally associated with Kurdish people, for example in the modern Flag of Kurdistan. A horizontal tricolor with blue, yellow, and red is used by the Syriac Union Party and its military wing in areas with a significant Syriac-Assyrian presence in Northeastern Syria. Colors similar to the ones used on this flag can be found on the Assyrian and Chaldean flags. A flag with the Autonomous Administration's emblem on a white field is also used occasionally to represent the Administration itself.